Developer DMG Investments will host a Grand Opening twilight reception at One Park on Thursday, May 3rd, 2018 to officially introduce a professionally-decorated model home and new Sales Gallery at the luxury collection of condominium residences in Bergen County’s Cliffside Park. Organized by Halstead Property Development Marketing (HPDM), exclusive sales and marketing agent for the 14-story waterfront building, the much-anticipated public event will take place from 6 p.m. to 8 p.m. and provide attendees a first look at the fully-furnished three-bedroom unit merchandised by renowned interior designer Dan Mazzarini, Principal at Manhattan-based interior design firm BHDM Design. The opening celebration will also include a special cooking demonstration with Thermador’s Executive Chef Eric Morales. He will prepare a Mexican-inspired menu on the high-end Thermador appliances in honor of the upcoming Cinco de Mayo holiday. All the festivities are designed to highlight the 1,555 square-foot model and its well-appointed living spaces which include two lavish bathrooms, open living and dining room, walk-in closets in each bedroom and spacious kitchen with breakfast bar. The model vividly illustrates the uniqueness of One Park’s cliffside location on New Jersey’s famed Hudson River Gold Coast. 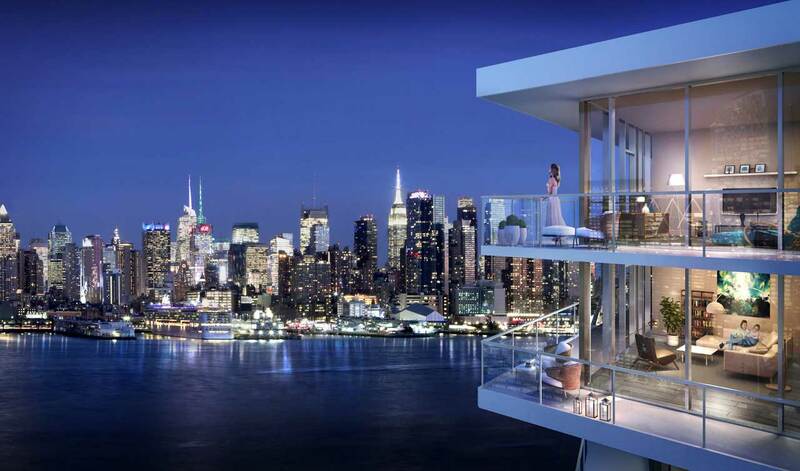 The unit has a continuous 50-foot long balcony which is the perfect spot to enjoy the incredible views of the ever changing New York City skyline. One Park is located at 320 Adolphus Avenue. One Park redefines waterfront living with 204 lavishly-appointed one- to four-bedroom homes and a comprehensive roster of resort-style amenities. Residences are priced from the $600,000s. Sales information is available at the on-site sales gallery. Interior spaces, curated by boutique design firm VLDG Inc., feature expansive kitchens with chef-caliber appliances, the finest fixtures, and breathe taking views. Bedroom suites are calm sanctuaries for rest and relaxation, with floor-to-ceiling windows flooding the space with light. Spa-inspired master bathrooms are adorned with a freestanding sculpted tub, large open shower, porcelain flooring and richly-toned wall tiles.